Big year for South Korean manufacturer Hyundai has released its new 2010 Tucson and Sonata sedan 2011. Moreover, it is preparing to replace its popular Focus model and best selling around the world, the Elantra sedan . Since its launch in 1990, the Hyundai Avante / Elantra has sold over 6 million copies around the world. 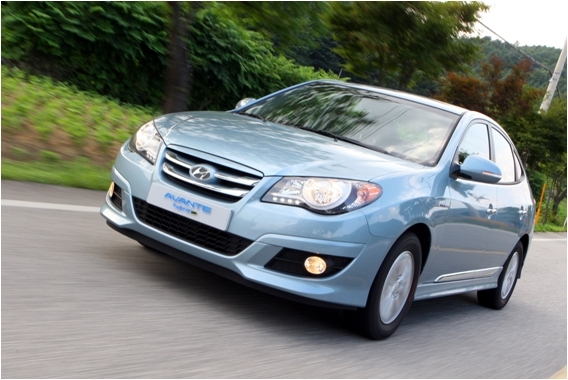 In South Korea, it bears the name Avante while elsewhere it is called Elantra. Now, however, the manufacturer has unveiled its world premiere the very latest version of the compact car. Another version that gives the appearance of a cut has four doors and even small Sonata. Its new front section is reminiscent of the 2010 Tucson. For the first time, this car will be able to offer a high intensity headlights and LED taillights. Presented at the Motor Show in Busan in South Korea, it remains faithful to the wheel has front wheel drive. Like the new Hyundai Verna / Accent that has just been unveiled at Beijing, it also benefited from an engine part of the new family of economical and cleaner Gamma engines. The new Hyundai South Korean Avante is powered by a new four-cylinder 1.6-liter gasoline direct injection GDI caliber 138 horsepower and 133 lb-ft of torque. All mates has a six-speed automatic transmission. It will likely be available to us with this engine and the transmission. According to data from the manufacturer this engine / transmission provide an estimated fuel economy 10% higher than that of its main rivals.